Doncaster Town ladies. Back row (l-r): Polly Sculthorpe, Kerry Holl, Ali March, Rachel Myers, Alex Moon, Kate Chorlton, Kizzy Spence-Hill. Front row (l-r): Faith Slack, Arisha Waqar, Paige Taylor, Shell Styring, Sally Donnelly, Lesley Tew. 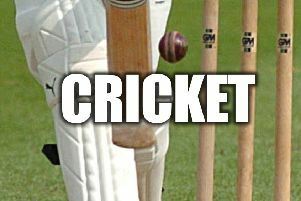 Doncaster Town’s ladies gave a good account of themselves against an experienced Cottingham side but went down by 20 runs in the area final of the National Vitality T20 Plate. 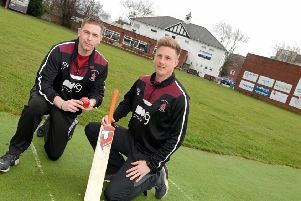 Cottingham, who play in the division above Doncaster, had scored 176 and 171 in their previous T20 Plate fixtures but were restricted to 123-3 thanks to Town’s efforts in the field. Arisha Waqar, Shell Styring and Polly Sculthorpe each claimed a wicket. Doncaster lost opener Lesley Tew and Styring early on. Kerry Holl (40) and Kate Chorlton (18) put Doncaster in with a slim chance with a fourth wicket partnership of 62. However, Doncaster were left needing 28 runs off the final over which proved too much. Town hope to bounce back this weekend in the Yorkshire League with a home fixture against Anston on Sunday (1pm).